Certain issues need to be settled in order to improve patient care for RA. Some things that have been “understood” or taught for years are wrong. These issues lead to inconsistencies in the practice of doctors who care for RA patients. Another controversial issue concerns which joints can be affected by Rheumatoid Arthritis. In 2009, we began a discussion What Is the First Symptom of Rheumatoid Arthritis? There are about 900 comments, mostly by patients posting a wide variety of joints and diversity of symptoms. While joint symptoms are often debated, there is one little joint that has been singled out for debate more than any other: the DIP joint. CAN THE DIP JOINT BE AFFECTED BY RHEUMATOID ARTHRITIS? And if it can, why do so many say it cannot be? In 2006, RA moved like perfectly symmetrical dominoes through my body, systematically affecting every joint. For decades, the RA had preferred my feet over my hands (like Ann and others). My hands ached and occasionally joints locked up, but they weren’t terrible – except for the joints down by the fingernails – the DIP joints. Even though swelling was mild enough that it was not noticeable to strangers, dexterity was lost and those DIP joints hurt every day. My first rheumatologist never challenged me about which joints were affected. She didn’t examine my joints or ever send me for imaging. She used to say it didn’t matter since the Rheumatoid disease is systemic and I already took treatment for it. At that point, I had only begun to dig into RA research and had no idea that my hands were politically incorrect – or how lucky I’d been to be treated for RA when my hands “looked ok.” When I made an appointment with another rheumatologist in 2009, I was in for a shock. When doctors did not want to even examine RA that did not appear to be grossly swollen from across the room, I started asking questions of other patients and reading everything I could get my hands on about swelling and which joints can be affected. That’s when I traveled to another state to get an ultrasound that would show the RA that affected my hands more every day. It is impossible for Rheumatoid Arthritis to ever affect the DIP joint. The CRP is the only accurate determinant of RA disease activity. Ultrasound cannot be used on any joint to examine RA, except for the MCP joints. That night in my hotel room, I believed he was wrong; I wrote Is There a Typical RA? But not until I’d read some case studies and articles about Rheumatoid Arthritis in the DIP joint. Over the next couple of years, I looked for answers. I knew what my hands said. And I knew what other patients said. But, why would doctors try to tell us something different. How did it get so mixed up? Despite various types of evidence to the contrary, the myth that the DIP is not involved in RA has taken hold. A vast majority of RA patients are DIP-positive (at least 70%). Or 84% here. The authors of the 1966 study wanted to learn why established “facts” did not correspond to what patients experienced. By studying what patients actually experienced, they found answers. “Rheumatoid joint inflammation seems to be a sharply localized process that follows a prescribed pattern in each afflicted individual.” As Dr. Evelyn Hess is quoted in The Rheumatologist, “Every single time you see a patient, see that patient with new eyes and you’re bound to find something new.” Myths and prejudices like the DIP myth can interfere with examining a patient with fresh eyes. Instructions from The Pain Source for giving steroid injections for RA in the DIP joint (like I had last year). A majority of RA patients experienced joint space narrowing in DIP joints. “The Articular Involvement in Rheumatoid Arthritis,” New Journal, 2004. What Is the List of Rheumatoid Arthritis Joints? Edited 8/6/13 to updated number of comments in second paragraph. Edited 4/3/18 to updated number of comments in second paragraph. This is the craziest thing I’ve ever heard. My RA was diagnosis based on a nodule located on my right ring DIP joint and confirmed through MRI and x-ray. And my CRP is always normal along w/being sero-negative. I’ve also had numberous films proving RA in many areas of my body. Just goes to show there is no “typical” RA. I did not know this about DIP. No one has ever mentioned this to me. So after reading the article and looking at the picture…I looked at my joints….very obvious. I guess I thought my deformed fingers were that way from years of physical labor. (I just had bloodwork done and am positive for RA)Thank you for another thought provoking look at the way the medical world still sees RA patients. The problems this causes are numerous. I know for me, I was thinking well, this isn’t RA for this joint and this isn’t either…don’t know why they started at around the same time but Dr says it isn’t so can’t be. Then you talk to other folks with RA and come to this and other blogs to read about quite a few that have the same problem. Who are you going to believe?? Slowly your confidence in your Dr erodes, to the point that you are not sure what he/she does know. AND if you mention reading info on the net, you get the stink eye!!! Like I shouldn’t research something that has changed my whole life??? I am aware to be careful about the source. If it wouldn’t be for this blog, I would still believe that RA doesn’t effect the spine. To me that means the whole spine. Now that stiffness and swelling has moved to my jaws, ears and neck, I now know I need to be concerned. Before I would have been hesitant to mention it to the Dr because I have already been fussed at about the spine. I have severe lower back pain in the same area where I had a spinal fusion done successfully back in 04. Their credibility is at stake here, they need to realize that someone had to question many practices from years ago to get to the best one for now. It is a good point Becky about the problem with trust that is created by this kind of myth. There is really no good reason to hold on to the wrong ideas since there is plenty of clear evidence to the contrary. The myths just get perpetuated as clinicians “pre-judge” patients and then record those impressions in medical charts instead of letting the patients disease speak for itself. better treatment & more research? dismissive attitude & silly research about our pain tolerance? No doubt you’ll do better tomorrow – we are extremely good at making ourselves be optimistic. I hope you have a good day. How I would love to flood my rheumatologist’s desk with copies of your blog Kelly! I truly felt, as he was a young rheumatologist, that he would be up to date on all the current research. How wrong I have been. I have to “buff” up his ego in order for him to “educate” me on why he feels certain ways. He took me off all my meds one time when I was having surgery and decided to leave me off of them for almost 2 years. The damage to my left wrist and hand can not be undone and I am now a regular patient of the hand orthopedic surgeon. Showed him the destruction, I was immediately put back on RA medications. He never could believe me that the the initial rheumatologist in my home state had diagnosed me properly until he could see it with his own eyes. Thank you Kelly for your groundbreaking research. I am sure that in time, as it already seems to be happening, the medical profession will take notice of your efforts. rawarrior Really dumb question. Which finger joints are the DIP joints? Hi Steph – it’s the one by the fingernail – D stands for distal – as in farthest out. My Rheumatologist believes I have RA (now, previously thought it was most likely some form of spondlyarthropathy) due to testing positive for Sjogren’s (about a month ago, on top of the tendinitis and syonvitus throughout almost all joints, can only kind of make a fist due to twisting, tight fingers and the wonderful fatigue with difficulty sleeping) even though all other blood tests run previously came up negative. I have synovitus in every joint in all of my fingers and toes, including the DIPs. I also have no appreciable swelling (never have), just enough to notice that my ring is tighter than it should be inspite of losing 20 pounds in the past 2 months (needed to but this certainly isn’t the way I would have chosen). The looking with fresh eyes is certainly important, I personally keep finding new problems in the six weeks between appointments. The latest being my hips (pain in joints from sitting/walking/standing) and neck (sounds like rice crispies when I move it from side to side and is stiff). Thankfully all of this has not stopped me from working 40+ hours a week and participating in my family, it has so far only slowed it down as I am wiped out when I get home from work and have troubles doing some things I used to do (or suffer for it later). I was started on Plaquinel the first appointment, 2 months later on methotrexate and 6 weeks after that went from 7.5mg to step up to 15mg. Each of the meds or increases helps pretty quickly but it seems the disease ups the anti almost immedietly as well. It always makes me curious to know if the meds are working but not curious enough to experiment and find out they actually are. Kelly, thank you for all of the time, effort and information you have put into this site. My wife has just been diagnosed with RA within the last month. Her symptoms that led up to her diagnosis were feet pain, finger pain with swelling, stiffness, etc. It then progressed to her ankles, knees, elbows, low back pain, and more. Also has shortness of breath though x-rays and CT scan are clear. However, and this goes to the point of this post. She has a few DIP joints that appear to have nodules on them. It’s usually the first two joints on her hands that hurt and swell the most, but the only place where she seems to have nodules are on her DIP joints. Oh Lord, I just went through this with my rheum. She was examining my hands, and explaining it all to a resident in training. When she got to the Dip joints, and mine were hurting and making tiny snap noises as if they were popping back into place, she said it was rare for RA to affect these, but not impossible. Then she ordered x-rays of my hands to see if the Dip pain was OA, which is what she believed it to be. The x-rays showed I have NO OA in my hands or wrists at all. She conceded, that the pain and swelling is due to inflammatory arthritis – or RA. HAHHAHA!!! This is hilarious! Ok, not that funny, but let me explain. The first and only severe hand joint deformities I had were the DIP joints on the pinkies of both hands. The only joint surgeries I have had, to date, are fusion of both those DIP joints. I love the fact that some Dr’s think this is NOT A REAL THING. Thanks for your insightful comments Kelly. Dominoes! When I first developed rapid onset of migratory joint pains, they traveled from one joint to another, and like you, reached every joint in my body, including several I didn’t know existed. At the time, my description was that I felt like there was an Alien-type monster (if you remember the movie Alien), that was moving through my body. But the domino description fits too! Where to begin . . . I was first diagnosed with Hashimoto’s due to choking and hoarseness (TPO was slightly high). I have a small goiter. I was started on levothyroxine. Surgery to remove my thyroid was pushed. I opted out of surgery. I didn’t believe this diagnosis covered all my problems. I pushed. I went to see a neurologist and a Rheumatologist. I was then diagnosed with Sjogren’s by a lib biopsy (blood work came back normal) since the neurologist had suggested it. The Rheumatologist put me on Hydroxychloroquin. My joint pain continued to get worse in my knees, hands, feet, hips, and right elbow (blood work came back normal). Methotrexate pills were added with a quick does of prednisone. I began to realize I probably had sero-negative RA. My hands, feet, elbows (both now), shoulders, knees, continued to get worse (blood work still within normal ranges). My Rheumatologist put me on Methotrexate injectable along with other meds. That did make a difference. Last week, my Rheumatologist just added RA as a diagnosis in order to open the options of using TNF Inhibitors, though he is still not convinced. I really do like this doctor because he has been quite aggressive on treatment and he does listen. He has been treating me like I have RA for over a year now. However, he is VERY conservative on diagnosis. Maybe that’s to my benefit (???) for insurance reasons. He continues to monitor by X-ray and does not believe in MRIs, Bone Scan, or ultrasounds to diagnose/monitor RA. My last x-rays last week still come back normal with no signs of changes except for Kienbock’s disease in my right wrist (go figure). Kienbock’s really??? I am not convinced. After all my research, I don’t think X-rays are the best way to monitor and see joint damage. My Rheumatologist is young enough where I would think he was up on the latest and greatest research so I believe it is how they are taught in med school. I truly wish Doctor’s would spend some time doing the same type of research we do by reviewing other patients’ stories. I have five fingers that show signs of DIP nodules or swelling by the way. I continue to believe those were the first signs that my hands were being attacked by something many years ago. Yes, Dana. Please see my response to Becky below. It is about sharing stories so we can help promote better care and hoping the next patient will not be dismissed. We are at ACR and the top researchers here emphasize early treatment – within weeks even – yet so many doctors cannot identify RA – they only can recognize gross swelling in the places they expect it only and obvious bone erosion on xray – both are often not present in early disease. I did read an aritcle about how this myth started and I need to find it again. It is old, but it has been put on the internet. Don’t you love that? It was just repeated even though it was wrong & then it was accepted as fact by those who didn’t know better. It’s really funny now though – how patients try to tell doctors and they are dismissed – as if the patients have to be wrong since they didn’t read those books – that’s 1 reason I built this site – the patients are living with the disease – they do know what it is. It’s been over 30 years since I was diagnosed w/RA, so I can’t remember if my DIP joint was involved, but it was a swollen ring finger that prompted me to see a general practitioner. My symptoms were pretty minimal at the time, just one swollen finger in the morning, but the GP knew to test me for RA and I tested positive for RF. I realize how fortunate I was to get a diagnosis so soon, after reading of the difficulties so many have had. Having had RA before the mtx and biologics became available, my hands/fingers have a fair amount of damage. That first troublesome finger now has swan neck deformities, as well as three other fingers. I don’t know if the damage to the PIP joint led to the DIP deformity, or if RA damaged the DIP. I don’t see how a doctor could absolutely rule out the possibility that the DIP joint is affected by RA. My hands take the brunt of the visible swelling I have, and my right hand moreso than my left, I supposed because I use it more (I wait tables, so I write a lot; I knit and use that hand more actively, etc.). My DIP joints are just as puffy and painful in my right hand as its other joints! I don’t understand the mindset of certain joints not being affected. If it has synovial fluid, then it can be affected – how difficult is that to understand? It sounds logical to us, Megan, because there is no prejudice involved. But a to dr who read that in a textbook doesn’t see with clear eyes – he can’t imagine that he was taught wrongly. I’ve met docs like that personally and heard about it from othere patients and read it all over the internet – that DIP cannot be affected by RA. My DIP joints are the most painful of my hands. My rheumatologist has never questioned this, but other doctors have told me I don’t have RA due to the pain distribution. Hemotologists should stick to their own field. 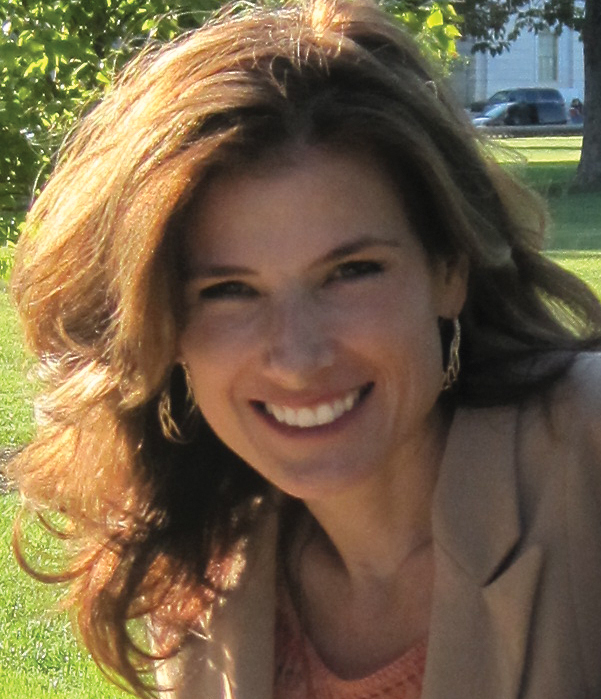 I will be 47 in Feb. and was diagnosed with RA at 30, my arthritis has never been controlled. I have the problem with the dip joints but was told it is osteoarthritis. I have an appt. with another rheumatologist for a second opinion and other meds that might be more affective in my treatment. My last appt. left me with more questions than answers. Even though I research my disease and work in the medical field I still feel clueless. By the time I get an appt. for a flare up the damage is done. How can we beat a battle that the docs dont seem to take seriously? I’m in this boat too. I’m in the process of getting a diagnosis (and have seen 3 rheumatologist who all have a different opinion). I have swelling, redness and a lot of heat in my DIP joints. The rheumatologist I saw was a professor and has been a rheumatologist for years (and so was his father, and his father etc). He says to me “well it’s definitely not RA, you don’t get arthritis in the DIP joints in RA”……..! He said he thinks it’s Psoriatic Arthritis. With no family history of Psoriasis, I was quite thrown by that. I’m still young (early 20s) and just wish some of these rheumatologists would read your blog! I wish they would too – that’s why it’s here! It’s amazing how a myth can stick because they “read it in a book” even if the book is wrong and so many of their patients say otherwise. The doctors who did this study back in the 60’s we trying to untangle why the myth persists. The thing that tipped them off that it was a myth? They listened to their patients. I think that is the answer! In a doctor’s mind, his father and grandfather and the books in med school can’t all be “wrong” and the patients be “right.” So they dismiss what their patients actually present and interpret it according to their paradigm. Good luck finding a rheum doc who will listen and treat asap – of course, the sooner the better. I’d almost be tempted to take that article about the DIP joints along to my appointment but they’re reluctantly treating me as it is. I don’t want to push my luck! Unfortunately all the rheumatologists in my city work in the same clinic, so if I get a bad name from one then I risk being left out in the cold! It’s so strange that this myth was debunked in the 60s, yet we’re still having to deal with it! I told one rheumatologist that my body hadn’t been reading any textbooks, she wasn’t amused! Grumpiness seems to be common theme in the specialty too! I hate to generalize, but after seeing almost half a dozen rheumatologists, I feel that they need to shut their textbooks and actually listen to their patients. I’m not saying that I definitely have RA and DIP involvement, but I have inflammation in my DIP joints and because of that, RA shouldn’t be ruled out. But I’m always reminded ‘it doesn’t matter what the diagnosis is, they’re all treated the same’. That’s all good and well, but when someone asks you what’s wrong, there’s never a simple answer. But when is there a simple answer! Hi I’m new to this site but was recently diagnosed with RA after a year of slowly running through classic and less obvious symptoms, being diagnosed by my own doctor on basis of my symptoms, low positive RF and elevated inflammatory markers. The Rheumatologist dismissed the new pink, bony swellings on my dip joints as “just wear and tear” and I accepted it at the time although it seemed a strange coincidence? His first take was “inconclusive – need to see you in flare- something going on but no visible signs of swelling?”. Second visit 5 months on (this is UK NHS I’m talking about) and he diagnosed sero-negative RA and am now on a low dose of MTX. Pain and some swelling have occured in all obvious joints for two days or more – but for now it’s all settled in my hands, wrists and elbows – been there for a few months. So when some new hard lumps formed on my knuckles (met joints I think they are called?) I thought this must be the RA at work – or the Methotrexate. But after looking online I think they are closest to Buchard’s nodes which go with OA not RA it says. I have one on the inside of my little finger middle joint and it is really hot, red, shiny and a little sore now – or rather the whole finger is very sore. I’m getting used to painful hands but this finger is really bugging me. I suspect it will be dismissed by my doc, and by my rheumatologist as just Osteoarthritis “wear and tear” when I show them. But my instinct tells me that it’s too much of a coincidence that the onset of RA comes at the same time as all these hard lumps and bumps all around my DIP joints and now middle finger joints and knuckles on the same fingers that have lots of soft dark bruised swellings that I’m told by the physio are classic RA? For me they can call these hard nodes what they like but it’s all part of the same thing I’m absolutely certain – I just don’t believe in coincidences that much! oh, Deborah, I’m so sorry. Maybe you can travel to see someone else near a relative or something in another town, if he won’t listen. I had to come back to this post because last night, I was reading a pamphlet from The Arthritis Society (here in Canada) and they have a little skeleton man with highlights on what joints are affected. The DIP joints were highlighted. You can see here: http://www.arthritis.ca/local/files/pdf%20documents/Printed%20Publications/physical%20activity%20&%20arthritis.pdf. Does it matter if RA affects the DIP joints? It does to me. Through all of my reading the only info I can find on DIP joint nodules says these nodules are OA, no if’s and’s or but’s. But I had none until I began having symptoms of muscle and joint pain which led to a diagnosis of RA. I started out with about four of them and now have eleven of these nodules or nodes on my DIP joints. They don’t hurt but they go through growth spurts and aren’t getting smaller. I don’t understand how the experts can say these nodes on the DIP’s cannot possibly be RA. Why not? I did have x-rays of my hands done seven months ago and there are no signs of osteophytes or spurring on any of my DIP joints, my x-rays actually showed perfect bones. I wonder what my hands are going to look like in two years time. My Rheumatologist, and also one I saw at the University of Michigan to confirm my diagnosis and treatment, both insist that RA can not affect the DIP joint. They think I have RA in all my other joints, and Osteoarthritis in the DIP joint. Since I trust my own body, and the rest of their diagnosis is correct, I don’t feel the need to convince them otherwise, but REALLY! It is completely illogical! Great article! I have some soreness in those DIP joints at times too. Sounds like there needs to be some work done on reviewing the diagnostic criteria. Re. “When doctors did not want to even examine RA that did not appear to be grossly swollen from across the room…”, it reminded me of a rheumo I went to for an opinion re ‘natural’ treatments (as an adjunct to my conventional treatment). He said to me “You don’t LOOK like you have RA” (yes, from across the room!). I was totally flabbergasted! He also recommended I try coming off my methotrexate because he thought I didn’t have RA, which I did (I thought I’d at least give it a try) and was rewarded with a massive flare! Fortunately I have a good rheumo & will never go back to that guy again. Sharon. I’ve never heard this. I’ve had arthritis for 35 years. I was recently told that I have en- stage rheumatoid arthritis. I no longer get red hot joints, but I do have pain and swelling. I have significant deformities, no joint spaces, and multiple joint replacements. My spine looks good although I do have arthritic changes in my back and neck. None of my joints has been spared damage. I used to have significant heat, pain and swelling in my finger joints including my DIP joints. I don’t really understand the controversy. What difference does it make in the treatment of the disease ? Is it just something to argue about. I had doctors who told me you don’t get organ involvement or rashes. I had high fevers, rashes and organ involvement in my teens. The doctors just need to treat whatever symptoms you have and stop arguing about it. The work you are doing sounds like the work my grandmother did with the Lupus Foundation. She had lupus, but it did not kill her, like it did to so many she knew. She worked with the lupus foundation of america as long as she was able. They did a lot to change lupus perception and treatment and opened the first center just for treating lupus at Grady Hospital in Atlanta GA. It also is an autoimmune disease and it also has been full of misinformation, mistreatment, miseducation. but is now being much better researched and treated. I do not know what they are doing now, since my grandmother did most of this work 20 plus years ago, but it may be beneficial to talk to them and maybe you could share resources or find out how they reeducated doctors and patients. Dip joint on pinky of right hand is at a 90 degree angle and can not be straightened. I’m so happy to read this article. I thought I was going crazy when I would have shooting,burning pain in my fingers at the top joint, yet have no swelling of any kind. I agree that doctors don’t work hard enough to prevent damage to hand and foot joints. Mine also “look ok” but look closely and you will see the fingers beginning to twist and turn and I’m on a treatment that is working. Thank you for writing this article and bringing awareness to the damage being done. I am experiencing tenderness in my right first finger DIP. I had also heard that RA cannot affect that joint, however, my body is telling me otherwise. I did a search on this topic and your blog post was the first hit I got and I was not surprised, I have been reading it since becoming diagnosed a couple years ago. Thank you for all you do to raise awareness. I thought the dip joint meant the fingernail area around the cuticle. The reason I thought this is that I had an infusion of Rituxan and Reclast together a year and a half ago. The side effects were terrible. I don’t believe it was the Rituxan because I have had Rituxan many times but it was a first for Reclast. One side effect the next day was inflammation around my finger nails. Then some of the nails began to come loose and a couple fell off or mostly all of the nails came off to where I had to keep trimming the nails that weren’t hooked on anymore so they wouldn’t rip off if caught on something. After all of this time I am still having trouble with 3 of the nails. The worst one looks red and inflamed with no cuticle. yes, it’s the same area, but different thing. then nailbed/cuticle area is separate from the joint (bone) that’s right near there. Oh My goodness ! I thought I was Crazy ! My Rheumy told me that those joints were not affected by RA even though they are deforming more every day ! Glad to know I am not alone ! If they would read their own textbooks …it says “RA can affect ANY joint”! Kelly when my Rhuemy ( I decided to call her Dr Stare at the ceiling) listened to my complaint about my toes and the fact that I have noduals between every toe. She wanted to change my biologic! I begged her not to. It’s the only thing that works for me! She stared at the ceiling and didn’t even look at my toes! She never looks at my joints! Too busy looking at the ceiling.. Oh sorry! So instead she doubled the dose from every other week to once a week! They are extremely expensive but I get it free from the drug maker. How can you double the dose or change meds without looking at the joints? I know this is off topic for today but wanted to share this. Lately my hands and feet are really in pain and my muscles have been spasing so badly! I can’t stretch out at all cause I will start getting Charlie horses? In the muscles! It’s so painful I wake up in the night with them and scare my husband! Well anyway thanks again Kelly for your hard work and this forum to vent and discuss our problems. You work so hard to make sense of this awful affliction! I woke up yesterday morning to pain in the middle, ring and pinky fingers on my left hand. Just great! This added to joint pain and swelling in the middle knuckles and wrist. Then I woke this morning and there’s a bump on the right side of middle finger with pain and swelling. I am rf positive at 242 three weeks ago along with high WBC and monocytes. Crp and esr were high normal – probably due to all the Advil. Waiting to see when rheum will see me based on understated referral from GP. Also just found out I have an old c7 fracture in neck. Might have something to do with the chronic neck pain I’ve had for 25 years. MRI on Tuesday. Very frustrating how women with pain are treated. Obviously I have a high pain tolerance. Love your work, Kelly! Keep fighting the good fight! Let me clarify this is a new symptom in dip joints. Lol, I knew what I meant. Last week I developed nodules on the inside of DIPs on index and middle fingers. Saw my rheum and he says it is OA- along with pain at base of thumb. Then he found a painful spot in my lower back and said that is causing the hip pain that I have had since diagnosis(as well as bursitis). Xrays were done and he said “Yep, OA”. I got cortisone shots in the hip and lower back. Then I started having painful spasms with shooting pain. Short-lived, but very alarming. My rheum drives me crazy (was in his office for 2-1/2 hours and I have no idea what this back pain is about). I go back and forth on how I feel about my treatment. Well i have to say that i too am getting very tired of doctors not freshing up on their medical education. Saw a new Rheum doc today, ( mrs. RUDE). Every time I tried to talk, she would over talk me and not listen to anything i had to say. If i tried to ask questions, she would ignor me, and say “that if i didnt like her opinion then i could find another Rheumy, she said this many times during my 1 hour meeting with her. I was super upset. She wasnt listening to me. In the end she looked at my recent xrays from march and says that my Dips are larger than they should be, as are my knuckles, and because my Dips on both hands hurt, with one nodule on my right middle Dip, and thinks i may have a possible nodule on my left Dip index finger (there is no nodule there, my finger is deformed and twisted!) I tried to explain this too her that its twisted, there’s no nodule….she refused to listen…..she thinks I have Osteo. But with Osteo your joints are supposed to hurt more and more when you use them…..mine don’t! Argh, this is so frustating! My husband even says that if results come negative, then be happy you dont have RA. That i also shouldnt be researching on the net, because anyone can write on the net, and it wont be true. But i know my body! I almost forgot, Dr.Rude also says that because she cannot feel or see my inflamation on my skinnish hand, then i dont have inflammation. I told her, “what? ” my hands are swelled! “I turned over my hands and they were both swelled up. But she just ignored me saying she couldnt see it! My point of the story is that, shes basing her theory that i have Osteo, on my pain in my Dip joints. That any sleeping pains and issues that i have in my back and neck and all around pain, can be fixed with sleeping pills, so i can sleep better at night. I WAS TOTALLY FLABBERGASTED! Then i suggested possibly having an mri, cat scan or even the muscular skeletal ultrasound! She ignored my suggestion saying that she didnt think these were needed. That she was worried that id had too much radiation recently with xays. Ive only had 1 this year, and only on my hands. Really? Seriously?! I just want results, and a decent Rheum, that will listen. Not one that will rudly interupt you when you ask questions, constantly saying, “if you dont like my opionion then you can find yourself another Rheum”. Kelly if it wasnt for you and your blog….Id be lost and alone here in Alberta Canada. THANK YOU From the bottom of my heart! bilateral wrist pain that i knew wasn’t early carpal tunnel is what originally drove me to the dr. as i started researching, i realized i probably had RA. reading the symptoms and the disfiguration that can occur, i had an epiphany of sorts: the DIP on my left index finger has been an issue for years… over a decade. since my late teens/early 20s, the DIP joint on my index finger has had a little hard bump on it and twisted in a bit. in the last three years, it’s hurt more than ever and has even turned in more. the DIP joints on both index and middle fingers started hurting along with the bilateral wrist pain last summer. my first stop at an osteo who took X-rays told me nothing. he said there was nothing wrong with me or my bones. when i tried showing him my visibly twisted index finger, he said the X-ray showed nothing was wrong. that’s when i took it upon myself to call a rheumy and get in. when i first showed her my index finger and mentioned my DIP joints, she told me RA never affects those joints…. i still ended up with a diagnosis because of blood work and symptoms and family history. my index finger doesn’t turn at an angle at the DIP. most things i’ve seen online show that kind of turn: like the joint is at a 45º angle. mine actually TWISTS, like my index fingernail touches my middle finger. the twist is at the DIP. if i lay my hand flat on a table and you look at it from the fingernails, you can see the index and middle fingers twisting toward the pinky. my rheumy seems to ignore it, and i usually let it go because she’s still treating the RA. but i’m getting frustrated because i have so much pain in my DIP joints, along with other joints in my fingers and hands. i think i might print one of those articles out and bring it with me to my appointment. kelly, thanks for all you do! Thanks Kelly for your very informative website. Oh, wow- I have the same twisting going on in my index fingers- at the DIP joint. They both twist towards the pinky- like the fingernail doesn’t face up like the rest of my fingers, it faces my middle finger! I used to be able to lay my hand flat and force it to face up normal but now that’s almost impossible to do. I’m glad I’m not the only one! Hi, I have swelling pain etc or dip joints, they are found in your hands and feet. Go here to see links to drawings showing where http://en.m.wikipedia.org/wiki/Distal_interphalangeal_joint. I was researching this for my assumed Psoratic Arthritis. In my reasearch I found RA is present in people with PA, that DIP is strictly associated only with PA, that PA can be present long before any skin signs of Psoriasis develope. I definately have Psoriasis, I have asymetrical swelling of joints that so far come and go mysteriously lasting 12 hours to a week when swollen and acutely painful. I also have spinal involvement, low back, neck and soreness in my hands almost always and worsening when using in paeticular, my hands especially my fingers for average tasks like srubbing my hair when showering. Other odd but psoratic involved symptoms are my nails on my hands, clubbing, tiny pin point holes over a few but not all of my nail, widening of my nails shaping like a hand fan, and recently the sides of my nails also curve upwards. My toe nails are thickening and seem to grow down and into the sides of my flesh, very painful and akward to trim for relief. My eyes… first were intermitantly dry, scratching feeling, pain in top back of eye, and now blureed douboe vision especially at bright signs as you see when driving at night when headl8ghts hit them or reflective markers. Blurring is more like a halo effect around the object or letters with distinctly double image of what I am focusing in on. Additionally, I have now a runny muscus in my eyes now, I thought might be an infection but isnt. Its iritis or catch all term Uveitis. I write all this because psoriasis isnt always obvious. It can apear as red small dots, mistaken as other skin conditions, on your scalp you may think its dandruff. Not all psoriasis is large scalimg patches, it doesnt just form on knees and elbows, it can be anywhere and appear as a simple soight rash that comes and goes. The bottom line is RA and PA are autoimmume disorders and can co-occur. It may very well be that scientists have distinctly labelled and defined the symptoms of arthritis in to too rigid of categories rather than umderstanding that they are all apart of on disease, Autoimmune Disorder, and that while aome forms addhear to their rigid sub type class, the symptoms can be and are ahared between all sub typea of Autoimmume diseases simce inflammation is the common causal denominator in all of them and the side effects I mentioned. They aimply do not know enough about Autoimmune disease to say, you cant have DIP in an RA sufferer, only in a PA patient. My advice to all of you is to look into types of treament for both types and consider for the sake of agruement you have both ‘types’ of arthritis and seek a biologic treatment that both use, or use each together. Remember, both patiens of either also test positive for the other in as m7ch as between 10 to 30 percent of the time in tests, percentages depend on the subclass your doctor has placed you in, ie RA more commonly found in Patients. All this means to me, ia the doctor starts with an assumption and identifies you as X Arthritis type andmfinds Y Arthritis IF they also test for it. IT IS SIMPLY MORE COMMON TO TEST PSORATIC ARTHRITIS for RHEUMATOID ARTHRITIS… why? Because in PA patients, often the psoriasis legions are seen and it is well known RA can co- occur in this group. But if you are class3d as RA from the onset, with no obvious signs of psoriasis, they simply do not test for PA. Remeber, many PA patients are diagnosed WITHOUT or BEFORE psorisis is present. The main clue… DIP in asymetrical presentation… supposedly unique to PA. Confused? Me too. Obviously both subtypes overall manifest in particular ways, but whatmI, am, saying is, that theymcan and, do, overlap… because in the end they are both of ONE disease.. Auto Immume Disease (AID).. which covers all immflamitory diseases. While you may have more symptoms of a certain type, that, IN NO WAY, stops other kinds of inflammatory conditions from also occurring. In fact, I would be suprised if they didn’t. Our AID may present initially as different subtypes but any individual symptom of another subty9e can certainly occur. After all, PA, RA etc are simply a cluster of several but not all, of the numerous different particular AID symptoms, that scientists deem statistically significant. If these clusters occur often in population, it is given a name… RA or PA in this case. But as in Cancers, while you may have one type, it does, not exclude tou from developing others or single, symptoms associatee with other cancer types. DIP may not be as statistically significant in RA as it is in PA, but it doea occur in both. My assumption is based on us, the patients, our observations and my belief that many doctors get riggid in the labels they give us. All I know is if some PA presenting patients can have RHUMITOID markers, in thier tests, certainly the reverse is also true. Is it common? 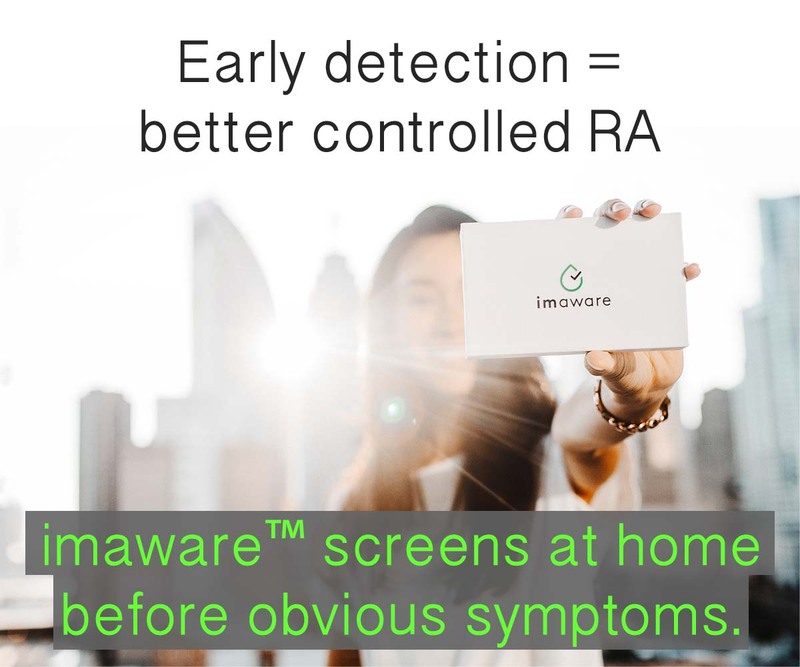 Well common enough in PA that they will test for RA as well. I think its maybe many doctors belief that the reverse is not possible, that PA is simply not tested for in RA identified patients, even when DIP occures…that reinforces thier belief that there is no significant cientific evidence to back it up. A self fufilling profecy of sorts. I just had to tell you that reading this brought tears to my eyes. 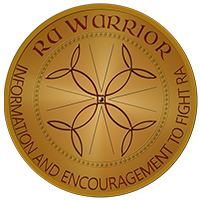 I’ve been suffering for a few months now with all of the symptoms of RA but have to say that I was discouraged when researching info on the web. My most severe joints are my index finger DIP joints and when I read that this means what is going on is not RA I get so desperate. If it isn’t RA then WHAT IS IT??? Nothing else fits- NOTHING! It took 2 mos to get the appointment with the Rheumy so I’ve no official opinion yet (I see him next week) but my fear of him telling me it’s not RA due to the DIP joint was so great- the anxiety was through the roof. Not that I WANT this disease- I just want a correct dx so I can get treated, stop any damage and get pain relief. I keep hearing about this Dr. being super arrogant and rude and that he thinks he is perfect because he teaches at the university but I’m hoping that, despite his lack of “bedside manner”, he is up to date and knowledgeable enough to not dismiss me just because of the DIP joints. I do, of course, have many other joints and symptoms but these are the most severe. Now with this I am going into the appointment not feeling so crazy knowing that RA CAN be in the DIP joints. Thank you, thank you, thank you!!!!! I have a positive Rheumatoid factor but the rheumatologist told me I can’t have RA because my DIP and PIP joints are swollen and that does not occur with RA. She told me to take aspirin and come back in 3 months. She didn’t seem concerned that my 8 fingers and 2 thumbs became disfigured over night, or that I’m having pain in my jaw, shoulders, collarbone, elbows, wrists, hips, knees, ankles, feet, toes and tailbone ! I have been to several rheumatologists. Before they even say anything, they claim they have never seen hands so bad. My hands are very swollen , red, and off the chart painful. I have heberdon nodes on dip joints and osteophytes so only can be osteoarthritis per some rheumatologists. The joints barely function in all ten fingers. Wrists swollen, as well as arms. So stiff, knees hurt as well and now shoulders are hard to move. I had joint replacements on left hand ring finger and middle finger. Deemed failed because no joint movement. One is frozen downward and the other straight out. I am neg RA factor. Hope more medications will become available to help just osteoarthritics. However one note is injections depomedrol are only thing that helped at all. i was very pleased to read Kelly’s post about DIP joints. How is it that doctors get locked into opinions and professional stands, even though they may be wrong. Those of us with RD know very well that the appearance and development of the disease is so very different with each of us. My DIP joints are horrific. Not too much swelling however they are very painful. Full of nodules. That is the most painful area in my body. As though my fingers are full of water and can’t move. My joints are large however do not look deformed (yet). Rings are a thing of the past. My doctor does not spend too much time checking my DIP joints, even though i point out that it is a painful area. Kelly, thank you for your post. So i am not imagining these things!!! Thank you for sharing. We need to get doctors better educated that the disease affects any joint, and other non-joint systems. I was recently diagnosed with RA, and most of my pain is in the dip joints. Over the past month, the first three fingers on both sides have started to twist at the dip joint. My middle dips also bend toward my little fingers. I can’t find anything online about the dip joints twisting. Is this typical to RA? It’s really creepy how fast it is happening. I am this close to getting my final RA diagnosis (I go back to the rheumatologist next month). He in fact gave me pamphlets on RA to review and told me I had a choice between 2 meds and when I came back I needed to give him my decision. I have pain in the dip joints (mainly my index fingers). I can honestly say the doctor has never once asked me about these joints. His focus has been on my knuckles and the middle joints of my fingers (which also have pain & stiffness). It’s scary that my right index and middle fingers are doing exactly what Erin above described. Not sure if this is common? I’ve been so overwhelmed by all this – hoping the meds help! I have a rheumatoid nodule on my right index dip joint according to the ortho and on my left index dip joint I have a mucous cyst. Rheumatologist says that it is a type of hereditary osteoarthritis. My thumb joints on both hands began hurting at the same time. X rays show cartilage gone. Orto says all RA. Rheum says osteoarthritis. Argh!!! I’d go with the ortho doc dx usually – but when you have both arthritis and RD it can be hard to tease it apart. Most likely both affect your hands from your description, even in the same joints. And in a way – I wonder why it matters. The cyst is likely due to OA – my mother had one so I read up on it last year – they tend to appear next to an OA DIP. The nodules are RD obviously… but again, they just need to treat you not try to untangle each symptom. Poor you, sounds awful. Hello, I am visiting this site for the 1st time and I am amazed at what I’ve read!! I had one dr who truly listened to me and unfortunately he passed away. I was diagnosed with ra a few yrs ago and just recently with hashimoto’s disease. At the same time my thyroid took a crap I noticed my lymph nodes on the right side were very visible. They have been that way for over a year. Ultrasound says they are normal. WHY WON’T MY DOCTORS HEAR ME WHEN I SAY THIS ISN’T NORMAL FOR ME !!!!! Has anyone else experienced this?